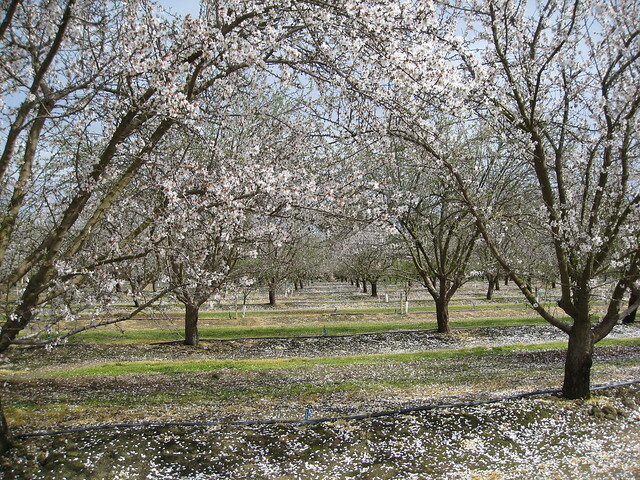 Documentary looking at migratory beekeeping in the USA from the california almond mega-monocultures and beyond. As Ontatio's provincial apiarist reported the numbers of hives moving from Ontario to the blueberries ~1000+km away has more than doubled in the last few years, the issues experienced by our southern neighbours are certainly worth contemplating up here in Canada (and in the nut aisle of bulk food stores everywhere). This Dutch film implicates pesticides as playing a significant role in the high bee mortality in the Netherlands and questions why the issue hasn't been taken seriously. The film contrasts interviews with French scientist Prof. Jean-Marc Bonmatin who's research has led to pesticide bans in France against interviews with Dr. T. Blacquiere, the principal adviser to the Dutch Ministry of Agriculture who appears to have strong financial connections to Bayer, a pesticide producer. 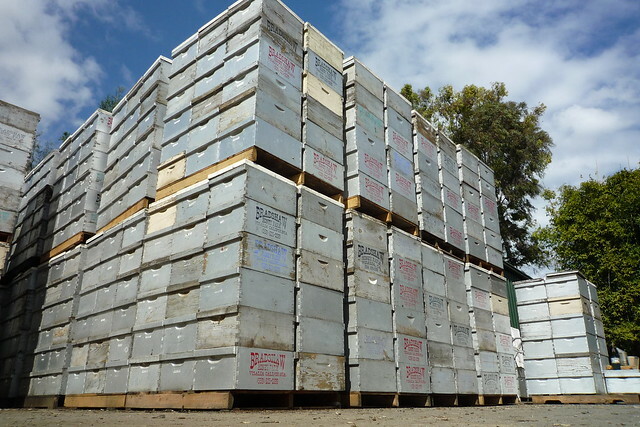 Killing Bees: Are Government and Industry Responsible? Short straightforward documentary looking at the effects of pesticides on bees. In his book Laurence Packer provides a good overview of the complexity of the challenges all types of bees are currently facing, what this problem means for humans, and how we can help. The book is also intermixed with some fascinating tales from a life of chasing after bees around the world. Well worth the read. As a beekeeper I often have the opportunity to speak to people about why bees are dying or colony collapse disorder (CCD). 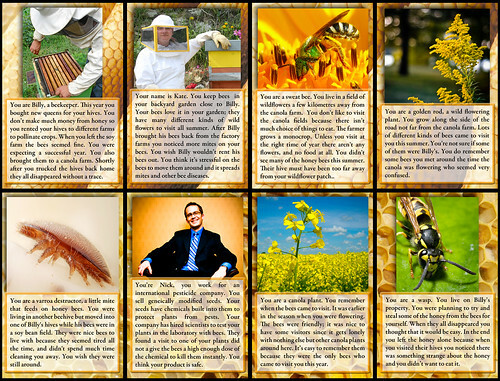 In response I’ve developed the Honey Bee Murder Mystery Game. 1) For kids (pdf 4.9M). 2) For teens - adults (pdf 5.3M). 3) See the bottom of this page if you want source files or other variations of the above. Watch a slide show of all the cards here. Age: 10-adult. Time: 30 minutes. - Importance of pollination if not previously discussed or bees and co-operation(it’s a co-operative game). - Explain they are going to play a murder mystery game. 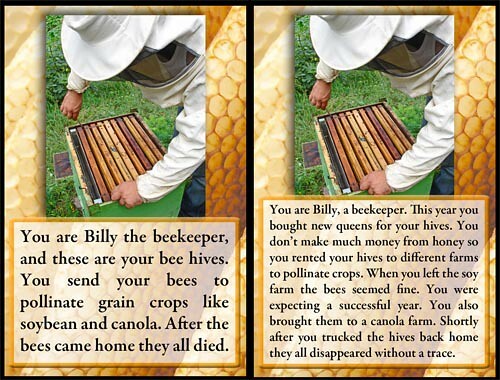 A beekeeper named Billy has lost all his bees and that they will each receive a character card. They will take on the role of this character and talk to each other to discover what happened to the bees. - There are 16 game cards. - The first page of 8 game cards should be enough to play the game if it is a smaller group. - If you make two sets of cards, larger groups can be split into teams and compete to solve the mystery first. - Each person should get one card. Give them a minute or two to get familiar with their character. They will then be asked to work as a group, sharing information with each other to try and solve the mystery. Have the students explain their conclusions. Let them know it’s a real phenomenon called CCD and discuss any questions the game raises. Groups using the full set of characters should be able to identify stress of transportation on bees, pest/diseases, queen genetics and poor nutrition for bees on mono-crop farms, and pesticide use as contributing factors. To the Toronto Beekeeper’s Co-op for all I’ve learned with them, Dave Barr for writing the simplified version of the text, Melissa Berney for editing the texts, and all the photographers who made their photo’s available for me to use via a Creative Commons license (see game file for details). 1) The teen-adult version with solid white behind the text (pdf 4.8M). - This might help those having trouble getting readable photocopies. 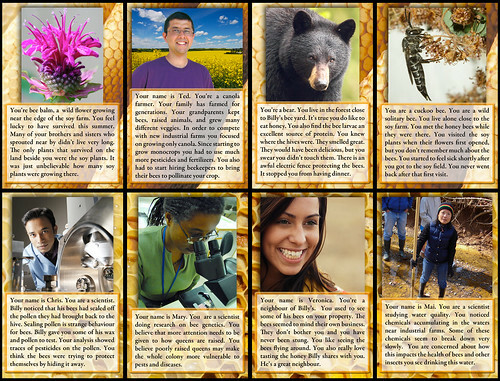 2) This version has no text on the game cards (pdf 3.8M). - Use this if you'd like to write your own text. 3) This is the ziped PSD file (zip 58M). - Use this if you want to use photoshop to edit the game cards. 4) Game text of kids version - Use this if you would like to translate the game into another language. I will make new graphic game cards from translated text.